Margaret Jane Stahl McKay, the matriarch of the McKay family passed away peacefully at her home on Thursday, January 24, 2019, surrounded by her family. She was 88 years old. Jane was born on June 13, 1930, in Maysville, Kentucky. She was the daughter of Margaret Kelty Stahl and James Stahl. She married her high school sweetheart, Patrick James McKay, Jr. on October 28, 1952 and was married for 45 wonderful years before his death on September 1, 1997. Together, they had nine sons: Pat, Mike, Leo, Joe, Victor, Dennis, Danny, Gerald and Bernard. In addition to her parents, she was preceded in death by her husband, Patrick James McKay, Jr. and her son, Patrick James McKay IV as well as two sisters, Dorothy O’Hearn Burrows and Patsy Collins and one brother, Don Stahl. She is survived by eight sons: Mike (Cherri), Leo (Helen), Joe (Patsy), Victor (Mary), Dennis (Paul), Danny (Laresa), Gerald (Julie) and Bernard (Zack) and daughter-in-law Gayle. She was also a "Mom" to Phil Stanton. She is also survived by a sister, Carol McDowell. She also leaves 20 grandchildren: Brent (Angel), Todd, Jason (Kim), Jennah, Caylan, Megan (Wesley), Jacob, Sean (Kelly), Amanda (Eric), Chad (Shae), Patrick, Caroline, Luke, Maddy (Trent), Lacey, Daniel, Allison, William, Victoria and Elizabeth. Also 12 great-grandchildren, numerous nieces and nephews in the O'Hearn, Collins, Stahl and McDowell families. She was a career woman, business owner and a devout Catholic. She loved Saint Patrick's Church and School. She and her husband owned and operated McKay’s Studio and Flower Shop. She was an artist, working on professional portraits and oil paintings, which hang in many homes in Maysville, and surrounding communities. She enjoyed the arts and music, and she loved to dance with her husband, Pat and her sons. It was well known among the family that, at any social event where music was playing, she fully expected to dance with each of her sons before the event ended. 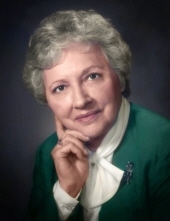 As a 1948 graduate of St. Patrick High School, she was a strong believer in education and lifelong learning. She was deeply involved in her community and especially at Saint Patrick's Church and School, serving on numerous committees throughout her life. She was a member of the Kentucky Professional Photographers Association, Knights of Columbus Auxiliary, and the Veterans of Foreign Wars Auxiliary. Her family meant the world to her and was her greatest joy. She treasured the holidays and family celebrations and never missed the opportunity to sing "happy birthday" to her sons each and every year on their birthday. In her younger years, she was told by her aunts that she was going to spoil her sons…..and she did! She never missed an athletic event, theater production, music recital, etc., for her sons or grandchildren. She was a tough, no-nonsense woman with an incredible sense of humor and strong and vibrant spirit. Her legacy of faith, unconditional love and care for her family will continue through the lives of her children, grandchildren and great grandchildren. Her life and memory will be celebrated even as we mourn her passing. A Mass of Christian burial will be held at Saint Patrick's Church on Monday January 28, 2019 at 11 a.m. and she will be buried next to her husband, Pat, at Saint Patrick's Cemetery. Serving as pallbearers will be her sons who want to walk that last mile with their mother. She was always there for them at every step of their journey, and this will be their last opportunity to walk with her. Visitation will be from 3 p.m. to 6 p.m. Sunday January 27, 2019 at St. Patrick’s Church. In lieu of flowers, donations can be made to: St. Patrick School, Maysville Women’s Crisis Center, Kentucky Gateway Museum or the charity of one’s choice. To send flowers or a remembrance gift to the family of Margaret Jane Stahl McKay, please visit our Tribute Store. "Email Address" would like to share the life celebration of Margaret Jane Stahl McKay. Click on the "link" to go to share a favorite memory or leave a condolence message for the family.